The building which houses Poštová Gymnázium is situated on the street which used to be called “Brewery Street” because the building belonged to the town brewery since the 17th century. Beer was brewed and sold on the premises until 1863. After that year (due to the old-fashioned equipment and shabbiness of the building), beer was no longer brewed, but it was sold here until 1876. In that year the town council decided to transform the building into a school. At that time the State German Secondary School, which trained students for technical occupations, was established here because they were in need of a larger facility. The town of Košice covered building reconstruction expenses, and in 1882 a new academic year was formally opened. The building served as a German school until 1938. After the Munich Accord and the Vienna Arbitration on 2 November 1938 when Košice was ceded to Hungary, the German school was relocated to Bardejov, and in its place the Royal Hungarian State Gymnázium was established. After World War II, the Second State Gymnázium came into existence, and later it was replaced by the Secondary Technical School of Construction. Over the course of the past 45 years our school has experienced many changes. The foundation for today’s contemporary Gymnázium was laid here during the 1967-68 school year. The first Gymnázium classes were opened during the 1969-70 school year. Not only in Košice but also nationwide, Poštová Gymnázium is known as a “Mathematics Gymnázium” because classes specializing in mathematics have been offered here since 1974. Our students have achieved and continue to achieve excellent accomplishments in mathematics and physics competitions not only in Slovakia, but also in international math and science olympiads. In addition to mathematics classes, during the 1970s and 1980s we offered classes specializing in the basics of technical chemistry, programming, electrotechnics, physical education, and the humanities. In the 1990s there were changes in the curriculum and specialization of the school, but today our school keeps to the form of a traditional Gymnázium. 1960 The beginning of Poštová Gymnázium’s modern school history. The Town Government Department of Education and Culture established a Secondary School for Working People on 13 June 1960. 1960/1966 The Secondary School for Working People was housed in 46 Srobarova Street in the building of the Second 11-year Secondary School. The school offered courses in basic education, one-year final exam training courses, two and three-year courses with final exams, and final exam training courses for soldiers. 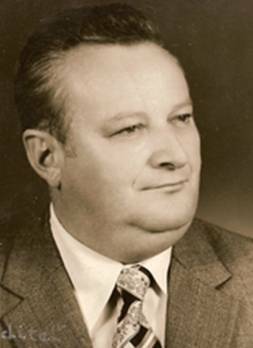 Juraj Miko, Ph.D. was the headmaster. 1966/1967 The Secondary School for Working People was closed down and a three-year Secondary School of General Education was established. Students graduated by taking final exit exams. That same year the school was relocated from Srobarova Street to the building of the Primary School in Revolucna Street 1. 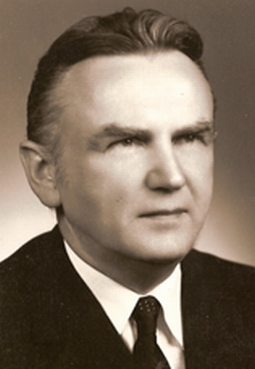 Juraj Miko remained the headmaster. 1967/1968 The Secondary School of General Education was relocated to the building in Smeralova Street 9 (now Poštová Street). 1969/1970 Students were first accepted to Gymnázium classes. This was the beginning of the transformation of the Secondary School of General Education into a Gymnázium. 1972/1973 The Gymnázium served as a kind of general education school that prepared students for further study at university, and classes specialized in sciences and the humanities. In the academic year 1972-73, the last students from the Secondary School of General Education and the first students of the Gymnázium graduated. 1974/1975 Classes specializing in mathematics were established. The objective of these classes was to accept students talented in mathematics and provide an opportunity for intensive development of their talent in order to prepare them for universities where mathematics was a dominant subject. Additionally, the Gymnázium aimed to improve results of the national team in the International Mathematics Olympiad. There were only four such mathematics Gymnáziums in the former Czechoslovakia—two in the Czech Republic, one in Bratislava, and one in Košice. The first mathematics teachers were RNDr. Katarina Grunmannova and Michal Scerbak. In the same academic year, classes specializing in physical education were established, but were closed down in 1979. 1975/1976 In accordance with the newly-commissioned requirement in which general education should be coupled with practical experience, classes specializing in technical disciplines (technical chemistry, programming, and electrotechnics) were established. This new requirement intended that graduates be competitive with vocational school graduates for technical positions upon graduating from the Gymnázium. 1978/1979 The final graduates from physical education and humanities classes completed their secondary education. 1980/1981 Classes specializing in both mathematics and physics were established. Marec 1990 Changes in our society after the events of November 1989 also created changes in the concept of a Gymnázium and in the content of education. In March 1990, according to the recommendation of the Ministry of Education, third and fourth year students were given an opportunity to decline practical specialization and also to choose a different foreign language instead of Russian. Stefan Obysovsky was the headmaster. 1990/1991 Classes with extended lessons of English were established. 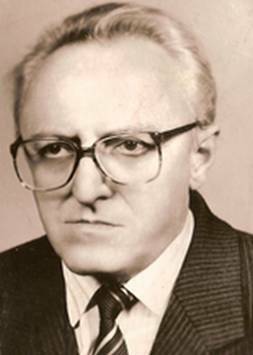 1994/1995 Stefan Obysovsky retired and, after an election, RNDr. Marian Ruzicka became the new headmaster. 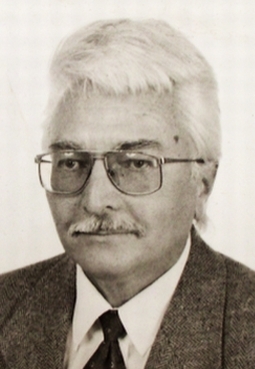 During the academic year 1997-98 he was replaced by Jan Tej, Ph.D. who served as headmaster for over two years. Since 10 October 1999 RNDr. 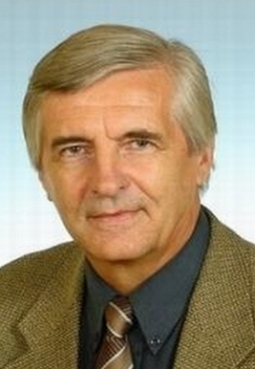 Marian Ruzicka has been the headmaster.